Wondering how? Realpoints is the answer. Gold is physical, cryptocurrency, vice versa, virtual. Gold is stored in banks for security purposes and for payments, at the time when cryptocurrency exists on your computer and all payments are tracked by using the block-chain. Gold can be physically stolen, whereas the cryptocurrency is vulnerable only for hackers. And you can compare that fact up to infinity. The process of gold liquidity dues to its material delivery to the recipient, liquidity cryptocurrency can be done almost instantly at any time. People, who have just begun using such kind of digital money always make such comparisons with gold, asking the question: "Is it better to use cryptocurrency than gold? Which kind of benefits does it have?" This question has no particular answer, and if it does, it is quite complicated and depends on personal conditions and preferences. Inside the community of lovers of free money on there are regular disputes about it. All pro and contra have always been quite strong from the both perspective, but they usually erase boundaries between two resources. Nevertheless, it is not an easy task to determine the winner of this race for power. However, in this article we are still going to show you all main advantages and disadvantages of these two assets, that will allow the reader to answer this question by him or herself. Gold needs some space, where you will storage it, as well as a certain number of specific resources that will help to transport it. Transportation of gold involves the usage of roads, cars, human labor, as well as safe places to storage and secure it. Moreover, By any kind of gold transportation you have to spend more different kinds of resources. To build roads, we have to devote enormous capital and pay the workers for their labor, the same story we see by conditions of security of valuables of cars and/or warehouses and its transportation. And it not a secret for anybody, that his human labor is very expensive because not everyone can do it professionally. 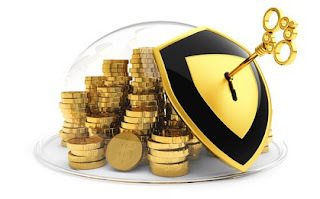 Even collector who is going to keep a small amount of gold at home should spent some sum on protectable precautions. Firstly, you will need a robust collector or other safe place to store metal, equipped with a lock and having a physical space for storage. You also need to pay for transportation. If the collector wants to come to a broker to buy some metal, he needs to pay for armoured car for delivering the gold to his house (in the case, he doesn’t have his own armored car, that also needs some special proper care or if he is ready to risk). Cryptocurrency exactly goes ahead and let behind any other kind of money when the conversation turns to transfer fee. This currency exists only in a digital world, and the greatest space requirements include only: the presence of a computer and/or a smartphone, a flash drive, or even just a brain of its owner. Casual payments are easy enough to make with the help of a mobile web-wallet, thus eliminating the temptation to return to a "paper substitutes."